The hairline cracks found on the 26 China-assembled MRT trains were not a safety risk, Transport Minister Khaw Boon Wan reiterated in Parliament yesterday in response to questions from MPs. Withdrawing the trains from service for rectifications also did not affect capacity levels on the North-South and East-West lines, he added. Former China tour guide Yang Yin, 42, pleaded guilty yesterday to misappropriating $1.1 million from widow Chung Khin Chun. Among other things, he persuaded her to remit $500,000 to his father on the pretext of buying a painting. Yang, who had admitted to other charges, mainly over falsifying receipts, will be sentenced on Sept 9. 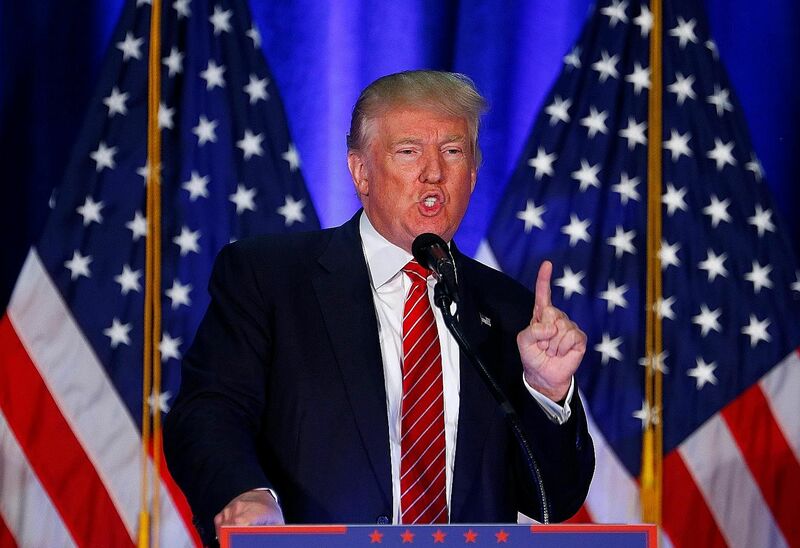 Presidential candidate Donald Trump is calling for "extreme vetting" of those looking to migrate to or visit the US, including an ideological screening test to weed out those who do not "share our values and respect our people". He also suggested shutting off access to the Internet to destroy ISIS. Brazil defender Marquinhos says nothing will derail the host nation's quest for a first football Olympic gold medal. A row over bonus payments notwithstanding, he said: "The dream for me, the team and the fans is to be champions." Brazil meet Honduras in the semi-finals and are heavily favoured to sweep aside the Central American nation. The Singapore Tourism Board is offering financial support for business travel and promoting the island's child-friendliness to Malaysia to reverse sliding arrivals and revenue from its northern neighbour. Malaysia is Singapore's third largest source of tourists, but a falling ringgit could see it slip behind fourth-placed India. The contagion from the fall of oil and gas company Swiber is far from over, writes Grace Leong. Many jobs could be at stake and even GDP growth may take a hit if insolvencies in the sector rise. A woman was sentenced to 5-1/2 years of corrective training for an attack on a neighbour and assaulting police officers on several occasions. In an attack spanning 18 minutes, Casey Sabrina Ng, 43, had stamped on her 67-year-old neighbour's head at least 18 times. A 28-year-old Chinese national is on trial for allegedly slashing her room-mate to death with a cleaver in their rented flat in Geylang in 2013. Jiang Yumei also allegedly stabbed 26-year-old Zhao Jinhua at least three times with a knife during the attack. The British pound has fallen to a new historic low against the Singapore dollar as concerns mount over Britain's economy in the wake of the Brexit vote. One pound is now worth $1.737 - the weakest the British currency has been since at least 1981. The National Gallery Singapore (photo) received a $16 million boost yesterday from Ngee Ann Development for its research and curatorial work. The donation from the real estate company will be used for exhibitions that further the understanding of modern art from Singapore and South-east Asia. Local Mandopop superstar Stefanie Sun's new song, Rainbow Bot, is out today exclusively on Apple Music, and it will remain available only on that platform for four months. The song comes from a five-track EP of the same title which will be available on Apple Music in its entirety from Friday. The other four tracks are available only on Apple Music for a year.